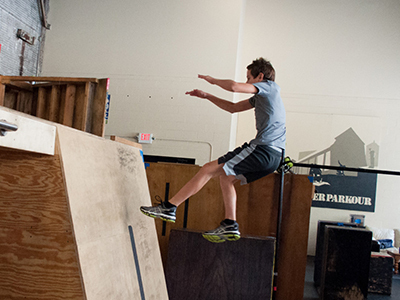 Want to be the next American Ninja Warrior? We’ll custom build a themed obstacle course just for you and your friends. They’re challenging, but not impossible and you’ll have a ton of fun! 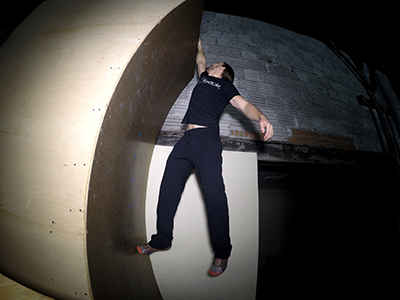 Few things are more fun than flinging foam at your buddies in a custom built, fully climbable, urban style arena! Gather your friends and have fun playing games like TDM, CTF, HvZ, and more! Want to share a unique experience with you and your friends? 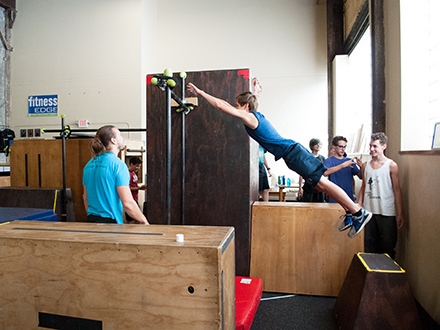 Our Parkour Workshops are the best around and we can teach you how to balance on rails, swing on bars, and climb up walls! Our Ninja Warrior Themed Parties are simply the best! Every course we design will be custom tailored to you or the demographic of your choosing and will be equal parts fun and challenging. No two courses we’ve designed are the same, however, you can be sure that our cannonballs and grip trainers, ropes, warped wall, quad steps, and spider climbs will find their way into each one. These parties normally begin with a quick introduction of the instructor(s) and the participants, a brief warm up followed by brief tutorials on the particular challenges for that course. The courses themselves are broken into stages (usually 3) so as to not be too overwhelming to participants. Rest assured, no one will feel pressured to anything they don’t want to do and specific elements can be skipped, should a participant wish. Our Nerf War Parties are so much fun! 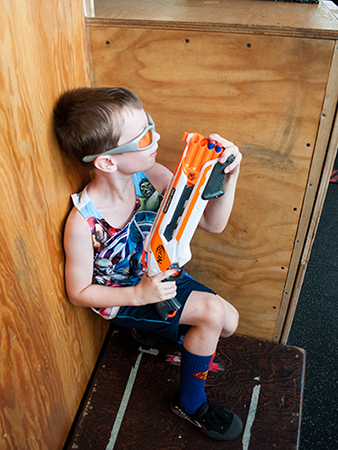 You or your kids will have the most amazing experience no one else can provide – a bonafide Nerf War Arena! Our arena is fully climbable and features bunkers, sniper spots, and caves. Eye protection, darts, and equipment is provided, however participants are allowed to bring their own eye protection and their favorite blasters, should they desire. Aside from being the most fun around, you or your kids will also be getting in quite the workout! Learn Parkour from True Experts! Our Parkour Workshops offer all the best of our top-rated curriculum plus the added benefit of getting it custom tailored to you and your friends! 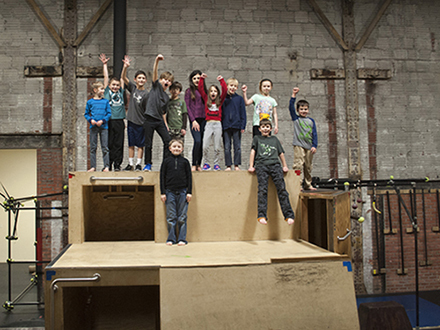 We were the first Parkour Gym in the State of New York and we remain the best in the region! These parties/workshops can be geared more towards a fun-sharing experience to a full-on educational seminar. Tag, Lava Tag, Zombie Tag, Capture the Flag, Ninja Stealth Tag, and so many more! Click Here to Request Your Party/Workshop! If you would like to find a day/time outside of these normal time slots, we are sometimes able to accommodate depending on instructor availability and our own weekly recurring class schedules. Because of the unique environment our gym offers, we do not incorporate eating time into our parties. We understand that sometimes this comes as a shock, but think about how much time other venues waste by making their birthday party attendees sit and eat instead of move around and have fun! Our goal is to get you and your attendees moving and having fun more rather than spending time doing things that can be done anywhere, such as opening gifts or eating bland pizza. We’ve seen a lot of creative ideas in the past from various parents, but the best is sending off party-goers with a nice goodie bag of sweets or treats that can be eaten elsewhere! As always, we take safety very seriously and one of the major culprit of slips and trips come from foreign objects that everyone tracks in with their outdoor shoes. To cut down on the amount of dirt, rocks, staples, and broken glass, we require ALL persons entering and staying in the gym to remove their outdoor shoes. No kids will be allowed in the gym barefoot or in socks due to health and safety hazards. Please ask your attendees to come prepared with a pre-cleaned pair of shoes to change into upon entering the gym. Parents are more than welcome to stick around and hang out in our lounge in their socks, but they can also feel free to leave and go get coffee at Joe Bean or a nice drink at Muller’s Cider House next door. We sometimes get multiple requests a day for parties as soon as one week from that day to multiple months in advance! Our time slots get taken very quickly so make sure to initiate communication early by submitting a request form to let us know what date you’re looking for! My son’s birthday couldn’t have been more amazing! 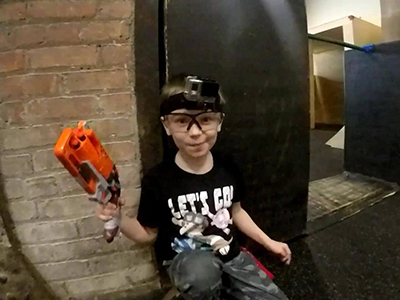 We’ve had our own nerf wars in our house, but inviting all of his friends for battles at RocPK was truly a unique experience I haven’t found anywhere else. The staff was friendly and polite and everyone left saying they had an incredible time. Go RocPK! Thanks Jonathan, my daughter and her friends had a great time.